Thursday. Day Four. August 9, 2018. Today’s the big day – the International Day of the World’s Indigenous Peoples. Frankly, this UN celebration should receive more attention. Hashtag: #IndigenousDay. Indigenous Peoples Week is a celebration of Indigenous travel and tourism around the globe. This is Planeta.com’s eighth year of hosting this online unconference, conversations found online Twitter and Facebook and as comments and responses posted on this website. What is the status of the participants and winners of the Indigenous Tourism and Biodiversity Website award? = ¿Cuál es el estado de los participantes y ganadores del premio del sitio web de Turismo Indígena y Biodiversidad? 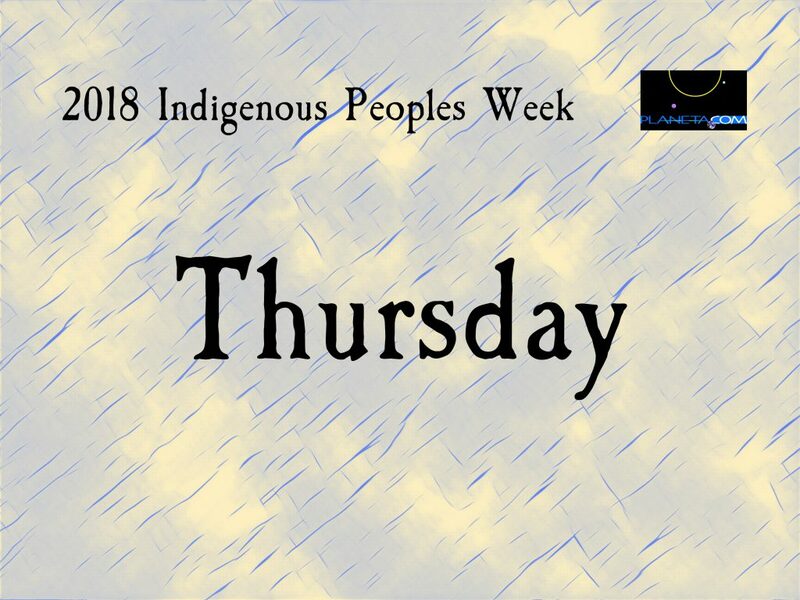 Indigenous Peoples Week was created in conversations with the participants as a means to stay connected. Might we hold the award again? That depends on others. While I value continuity, I’m pleased that some awards have a due date. If it’s working, it’s working. If not, why not try something else? Facebook – Register on the Facebook event page — https://www.facebook.com/events/442260522952889. Share the event on your timeline and in relevant groups. If you are new to the social web, write down your account and password in a secure location. Please post or tweet your contribution today. For those with accounts on Facebook … Create an event. FYI, Events that occur more than once need to have at least two dates or times. Behind the scenes at Planeta.com Redirecting /lasvegas to /las-vegas … Also doing the same for /los-angeles, /san-francisco. Redirection is a big deal, particularly for our older features that are no longer in the URLs used in the 1990s. What should we know about the upcoming European Ecotourism Conference? Each day this week Planeta.com will host an online social web challenge. Next week we’ll tabulate the points and announce winners by giving kudos to those who contribute.